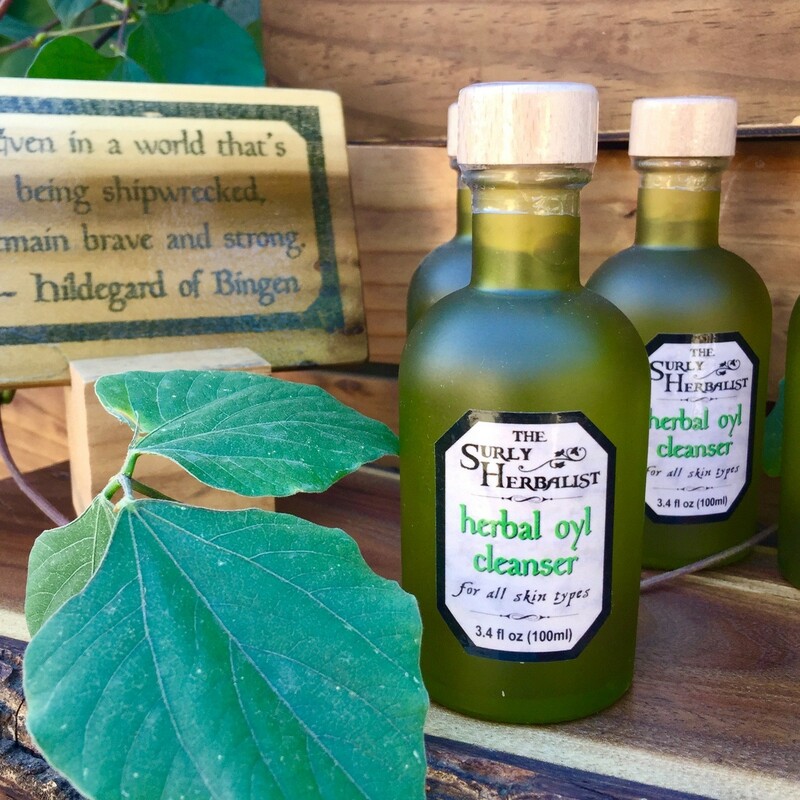 "There are no faces truer than those that are so washed..."
This unique formula combines nourishing light oils and skin normalizing herbs to create a detergent-free facial cleanser appropriate for all skin types. Scented with lavender and petitgrain essential oils for a soothing and calming facial cleansing experience. ingredients: macadamia nut oil infused with organic herbs (gotu kola, licorice root, marshmallow root, nettles, rose petals, shavegrass), castor oil, rice bran oil, eco-cert emulsifier (sorbitan laurate, polyglyceryl-4 laurate, dilauryl citrate), essential oils of lavender and petitgrain. directions: with dry hands, massage a small amount of oil cleanser over the skin or the face and neck. Rinse with warm water and pat dry.